Customer service professionals often fear that advanced technology will gut workforces and remove the human touch from customer communications. But it’s now clear that the opposite is true. Technology, like smart IVR, allows for more innovative, meaningful, and ongoing customer engagement thanks to its ability to streamline processes. Customer service teams are actually expanding and, as we well know, are central to a brand’s success. It is imperative that these growing teams know the current trends that are shaping the automated customer service industry. 1. Customer expectations are higher than ever… duh. Customers are exposed every day to the bleeding edge technology of industry leaders with deep pockets. Since they are well-versed in the intelligent self-service that consumer technology (i.e. Google Home, Uber) offers, they wonder why customer service functions lack seemingly basic AI self-service capabilities. This is partially because customers do not understand the implementation hurdles or internal challenges that often come with new technology. But as customers move to where these intelligent, efficient capabilities are, competing in your industry will mean offering a customer experience that pairs virtual agents with live agents in order to meet expectations. 2018 is the time for brands to think about how to bolster their customer self-service strategy. 2. AI Chatbots are becoming increasingly important, but are not a strategy in and of themselves. Research shows that while a majority of customers still prefer phone inquiries, almost half prefer chatbots for customer service – especially for simpler tasks. Bots will become ubiquitous as more are powered by advanced AI and replicate the types of conversations we have with live agents. Many companies, though, jumped on the bandwagon without a strong use case or understanding of how the technology should impact their operations; they ended up with gimmicky, limited functionality and frustrated customers. Context-oriented direction toward the speediest, lowest effort resolution possible is what will lead to customer loyalty, so consider the ways that chatbots will be part of your ongoing customer service plan, without viewing them as the quintessential piece to solve your problems. AI chatbots are most successful as part of a larger, integrated plan. 3. Integration and personalization… and leveraging them both in one place. Customers want access to self-service on platforms that they’re already familiar with like SMS, Facebook Messenger, Twitter, or Bing. As more customers use self-service in these channels, huge amounts of data will be collected. Utilizing this data, businesses can tailor to customer needs, discover actionable steps specific to a customer’s profile, and instill brand familiarity and loyalty. This is essentially the promise of machine learning. 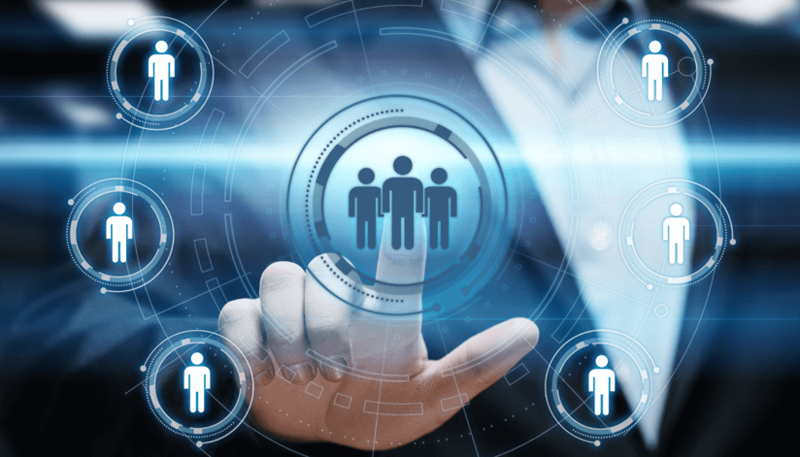 To connect all their channels, companies are searching for all-encompassing, cloud-based customer service platforms that can use data to create personalized experiences, as well as fuse with existing infrastructure. This is important, as it represents an incremental shift to cloud rather than the ‘rip and replace’ mentality of the past. 4. A continued focus on the full experience. All these trends add up to a continued emphasis on customer experience rather than mere service. We’ve known this for several years now, but as technology catches up to current customer expectations, the focus for this effort is different than it had been. Customer experience is not about troubleshooting basic tasks. The goal is for it to be a streamlined, intuitive journey for customers across a vast array of touchpoints, and this is part of what businesses are selling beyond just their core products and services. Expect companies to find new ways to reach customers: predictive and preemptive communication that anticipates a customer’s needs, curated content, video, and personality-driven AI agents that embody a brand’s voice. It is an exciting time for customer service professionals as there are so many tools to help deliver top notch experiences. Think about how your company could utilize data to create valuable and personal engagements with your customers. More importantly, consider how you can create a connected, easy experience for both your customers and your own team. This is how you will thrive in 2018.